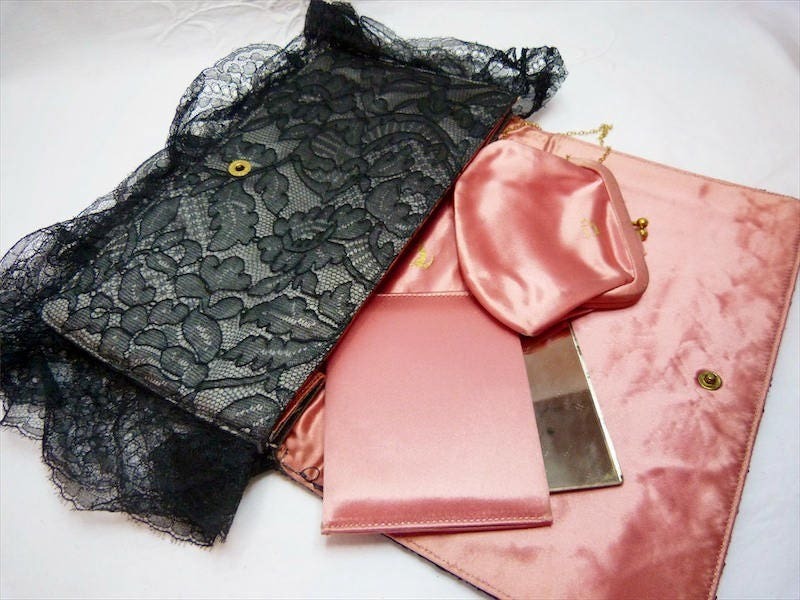 Gorgeous KORET black lace clutch with accessories. 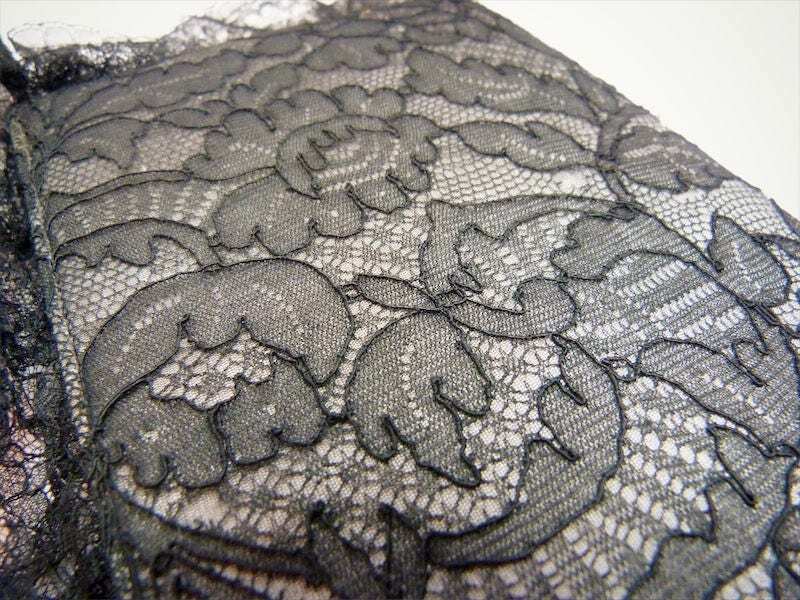 Delicate and beautiful quality lace, rustled on the edges. 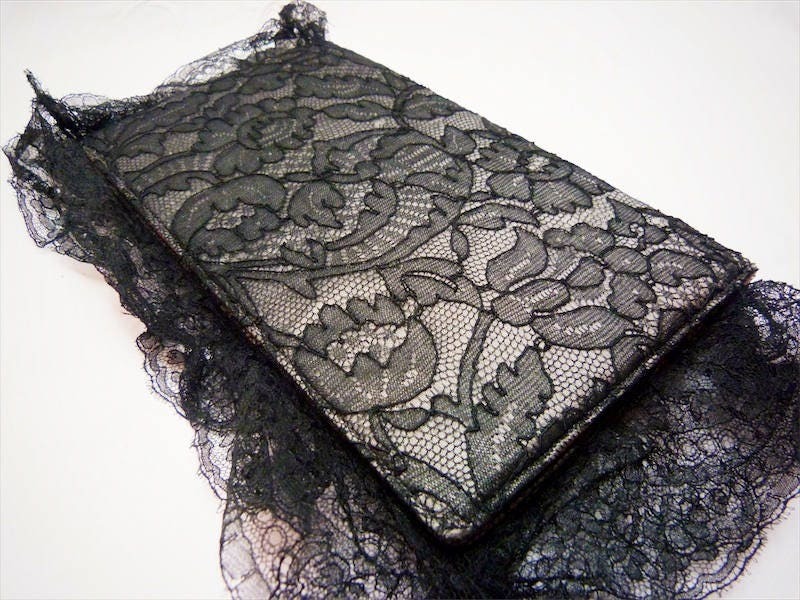 The clutch base fabric looks like pearl grey taffeta, which enhances the lace black patterns. 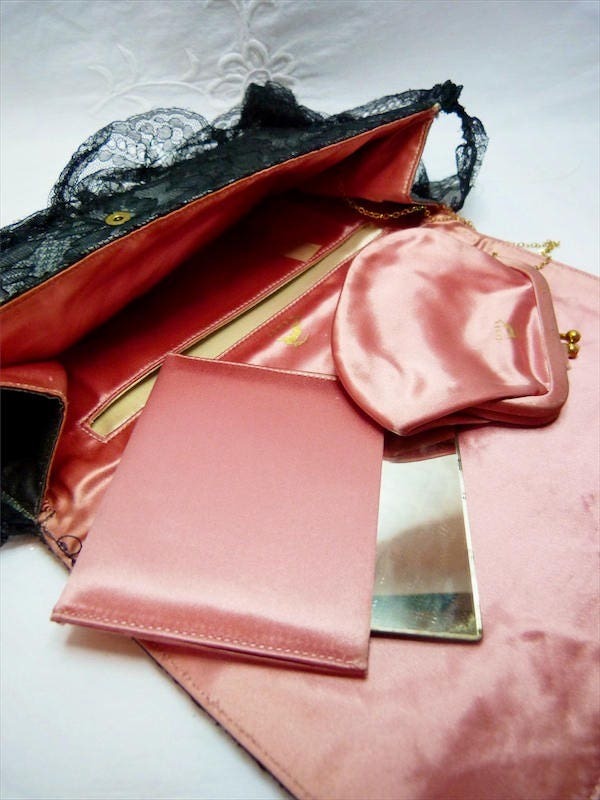 The inside is blush pink satin, and features a pocket with the small original double-face mirror in its pouch, and a small clip purse attached with a thin golden chain. 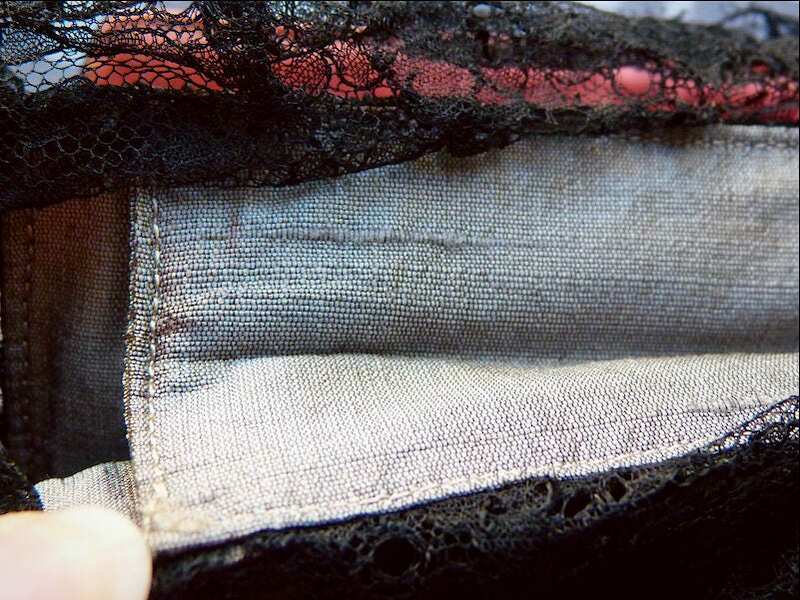 The gusset allows to hold more than expected (cellphone, small wallet and a lipstick, for example). Strong snap button - brass hardware. One of my most cherished pieces! 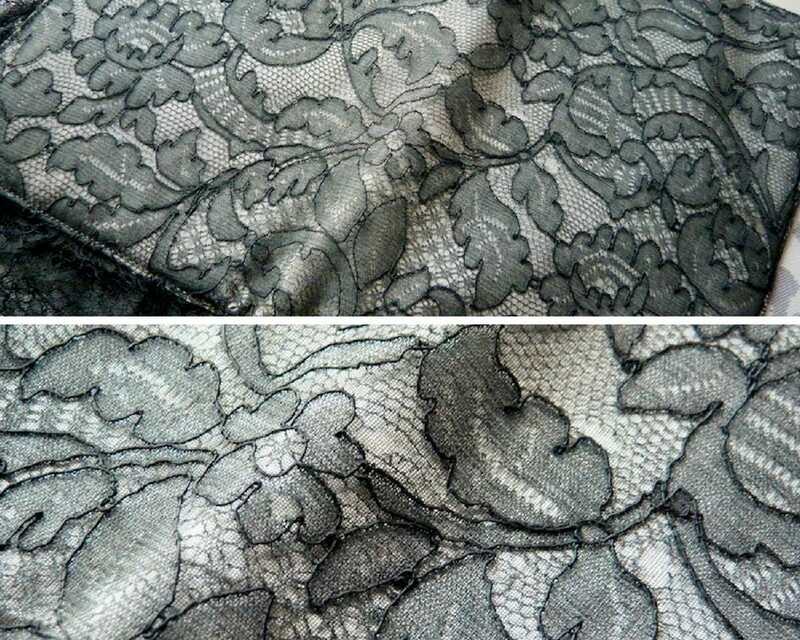 GUSSET MAX DEPTH: Approx. 1-1/2 in. 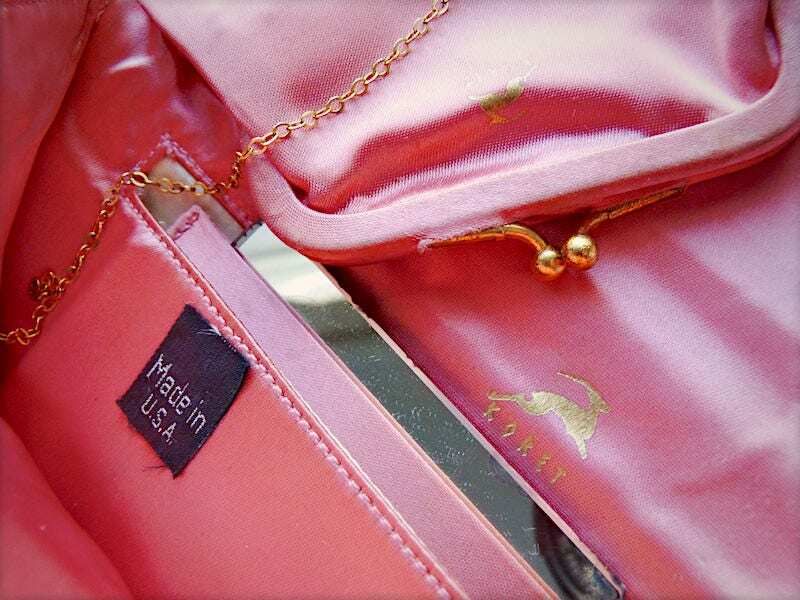 LABEL : Koret (made in USA). CONDITION : Very good considering its age and the fragility of the material! 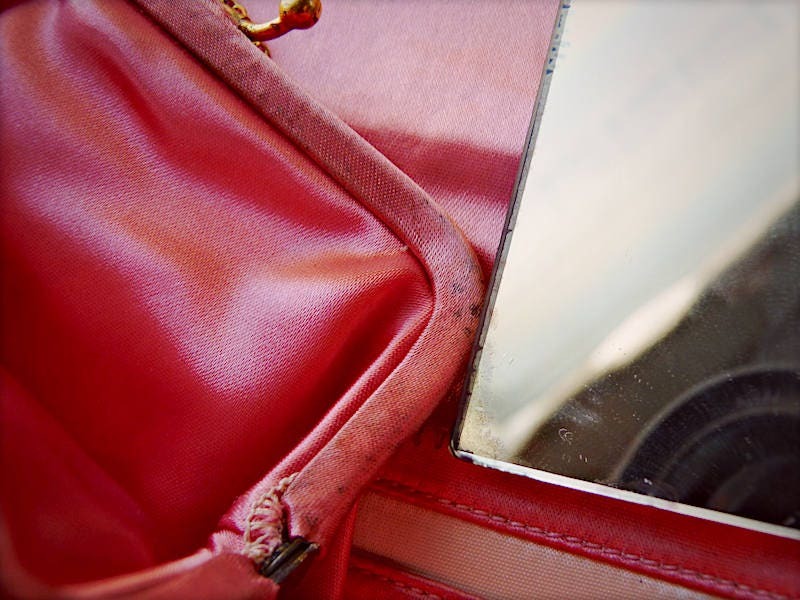 The purse satin is a bit used and stained on the edges and the mirror a bit used on the edges (see picture 6), and there are a few tears on the front lace which you don't see much at first sight (pictures 7-8).